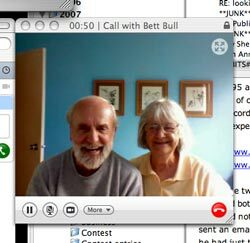 'My Solitudes' Project up and running! Although for a while back there in late spring, it looked as though we might not have a rainy season this year, it did finally arrive, and as I sit writing the stories for this newsletter, the rain is drizzling outside my open window, and everything in the house is damp with the high humidity. The weather over in Vancouver though - where I went for the annual family reunion - was glorious, and I never had to use my umbrella once! I had a pleasant time together with my parents, mostly just sitting at home chatting, and was able to get a little bit of 'quality' time with grandson Alex. I am very pleased to be able to show you the first print in my new series - My Solitudes - in this issue. If you are not yet a subscriber, please take a look and see if you think the prints might be of interest to you! In the early years of my life here in Japan, I was so busy with work and family life that it was very difficult to 'get away' and travel overseas to visit my parents. In recent years I am no less busy, but my life is somewhat more simple, and I have made it a habit to fly over to Canada sometime each summer for a family get-together. My brother and I coordinate these visits, with him arriving in Vancouver from the east (Germany) and me from the west (Japan)! A couple of weeks before I got there, my eldest daughter Himi arrived from Romania with husband Ioan and my grandson Alex, and as my sister Sherry lives in Vancouver and second daughter Fumi is at university there, we were able once again to have a 'full house' for the reunion! Grandma insists that at least once during the reunions we have a dinner with everybody on hand, and this year we enjoyed Japanese food up on a rooftop patio of a nearby restaurant. Deciding what to order is easy; we just leave it up to Fumi, as she has lots of experience handling food for large groups - for the past year or so she has been working as a waitress in a high-class izaka-ya many evenings each week! Little Alex is just on the edge of being able to walk by himself. 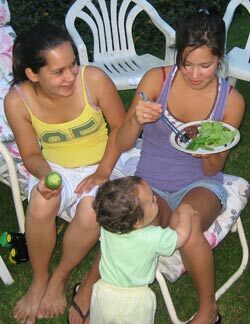 He still needs support, and he's getting it here from his mother and aunt Fumi, as they enjoy a plate of barbecue prepared by 'Uncle Simon'. He has been visiting Thailand, and it has become a habit for him to try out a new Thai recipe on us each year. This year's 'Lime Chicken' was the best one he has done yet! 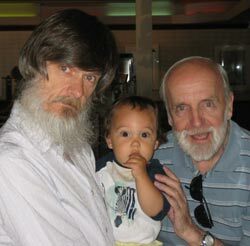 Here's the little guy, together with his grandad and great-grandad. 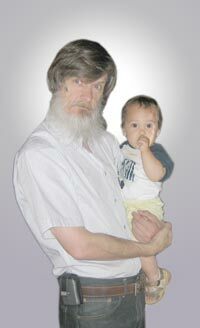 I have to say that I still don't really feel like a grandfather. I suppose that if I were living near to Alex and seeing him regularly, it would feel more 'real' to me, but as I only get to see him during one week a year, it still all seems a bit unreal. 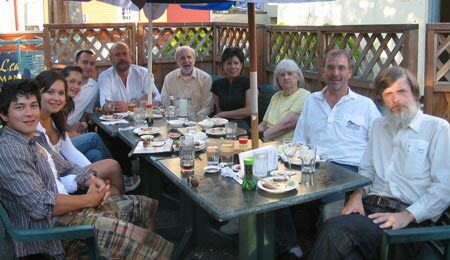 And speaking of 'grand-fathers', I got a bit of a shock on my final day in Vancouver. 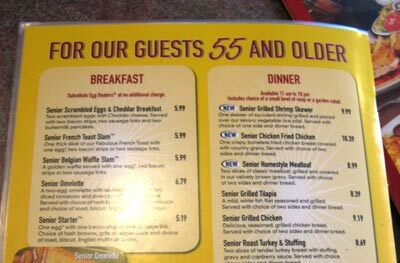 A bunch of us were having breakfast together before I headed off to the airport, and as I was browsing the restaurant menu, I found that there was a special page of items for 'seniors' ... and that the qualifying age was shown as 55 ... which just includes me! Going by the emails and calls I received over the past couple of months, it seems a number of the collectors have been wondering if I'm still making prints! Well, yes I am - of course! - but getting the new series up and running has been quite a major undertaking. 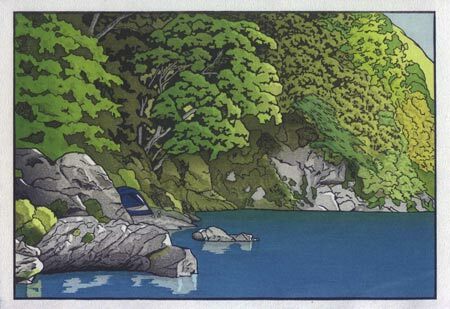 The first one - the River in Summer - is now done, and in the hands of the collectors. There will be 12 prints in the two-year project, and each one is accompanied by a chapter of what will become a complete book when the set is finished. 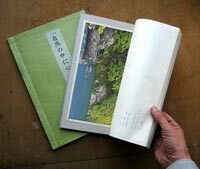 Each chapter is printed and bound in traditional Japanese hand-sewn thread binding, with the print tipped-in. The prints are all of my own design, and will all be landscapes - scenes of the areas near my home where I go, to enjoy quiet days surrounded by nature. I have selected three beautiful places: one on a riverbank, one in a woodland, and one on the seacoast, and I return to each location once in each season, making a total of 12 visits. I take some simple camping equipment with me, and the stories and prints will illustrate what I see and think about during the peaceful 24 hours that I spend at each place. Initial feedback on the My Solitudes series has been very positive, and I am now buried in work on the second book of the 12-volume series. This one - Forest in Autumn - depicts a moonlit night in the woods near my home, and is turning out to be a real challenge to make. 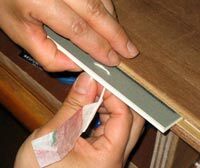 The books are of course completely hand-made. 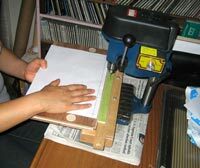 Sadako and I work together closely on the story - both English and Japanese versions - and then once the text is complete, Ichikawa-san begins to make the books. She assembles and sews each one using tools and jigs that I built for her. 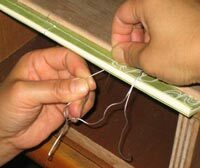 We use high quality materials, and even the thread we use for sewing is hand-dyed 100% silk! 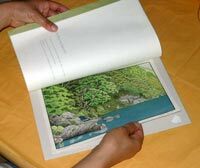 We are working hard to create a set of beautiful books that will become one of your family treasures! As I don't ride the train very often these days it is fun to observe the other riders. In recent years I have noticed young ladies putting on makeup while sitting in a train. They are usually quite skillful at it, perhaps setting a compact mirror on top of their bag, and on one occasion I saw a lady not only apply mascara, but even put on a pair of fake eyelashes! Another time, a young girl even started eating a rice ball after finishing her makeup. Of course I never stare directly at such people, but peek out discreetly from behind my open book, as my strict mother disciplined me, "Staring at strangers is very impolite behaviour, and you shouldn't do that!" But I can't help think about this behaviour while hiding my face with my book. What these ladies are doing doesn't really bother the rest of the people in the car, does it, at least when compared to such things as taking two seats, or playing loud music in a headset. I personally find them much more acceptable than an old guy picking his nose! It could be argued that their behaviour results in nothing more than a pleasant subtle odor spreading near their seat. What would be wrong with that? Thinking this far led me to wonder about the word 'shame'. For those girls, going about with no makeup might be more embarrassing than doing their makeup in the train, and they obviously don't care about what strangers see. I guess they are thinking that their train seat is a kind of extension of their home living space. And perhaps they are looking at me - wearing a linen blouse I purchased near twenty years ago - as the shameless one! It is recently being immersed in language complexities that perhaps makes me see so much in these simple actions. We each use language based on our own background and values, and this can sometimes be a barrier to communication. The root cause of fruitless discussions is nearly always to be found in the definition of a word. So I imagined a situation where I was talking to one of those young women busy with their makeup on the train. How would I be able to discuss these things with her? I didn't tire of these thoughts for the long train ride, burying my face in my open book, but never turning the pages. Well, as you well know David enjoys writing and his energy never dries up, which often has me struggling to keep up with job of expressing his words in another language. And it sometimes happens that I can't find the proper translation for a particular expression, no matter how hard I may try. On these occasions, we put the key phrase on the table and begin talking about it, searching for a way through the difficulty. This is at one time both the most enjoyable, and the most bothersome, part of this work! Language not only carries its cultural baggage, but dresses in the clothing of the user's viewpoints and subjectivity. Then jotted onto a piece of paper, or tossed into the air ... Precious words!